Vanuatu is a beautiful island nation with wonderful people. 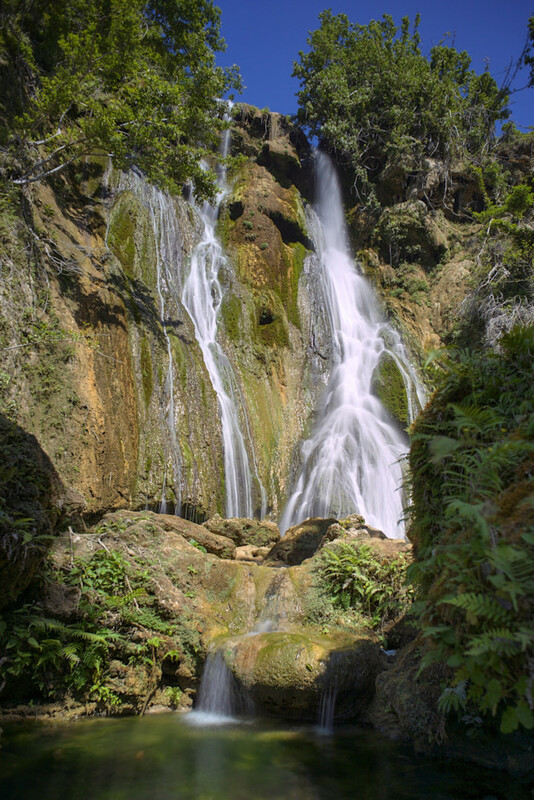 One of the highlights for any visitor to Vila is to visit the Evergreen cascade waterfall. Near the village of Mele this beautiful series of cascading waterfalls culminates in this large waterfall with swimming holes below it. It was a challenge to capture purely as I was sharing the spot with about 100 other people including twenty odd having a swim at the moment of this shot just out of view.